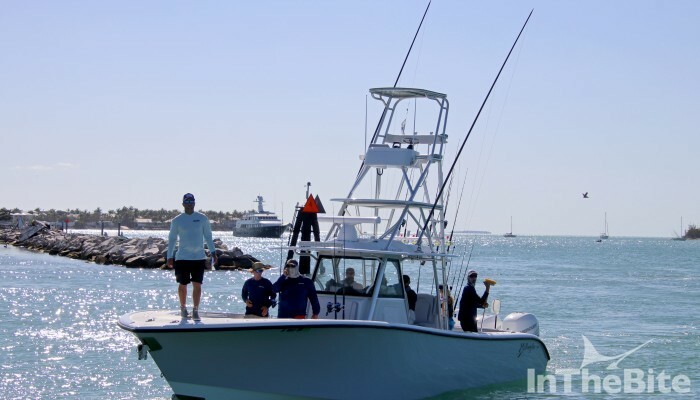 Pompano Beach, Fla. (Feb 26, 2019) – Nothing short of exciting and unpredictable with a 52-boat fleet, 466 anglers, 3 inlets and 2 days of competition, the 16th annual Sailfish Challenge was one for the books. 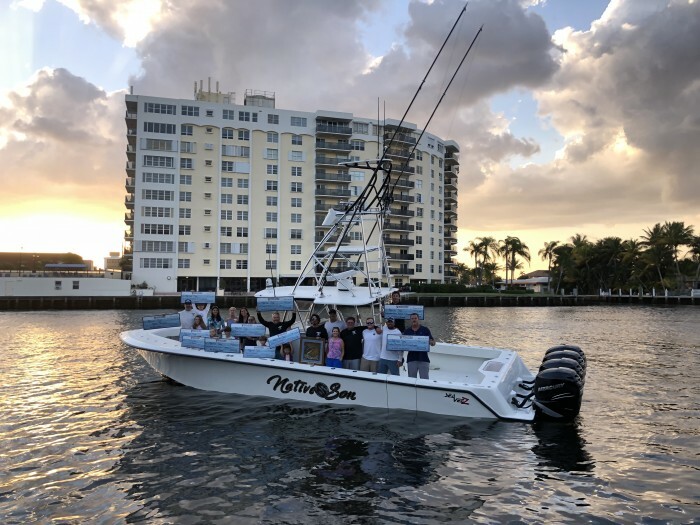 The tournament opened with an amazing kickoff party hosted at the International Game Fish Association, charitable beneficiary for the tournament. 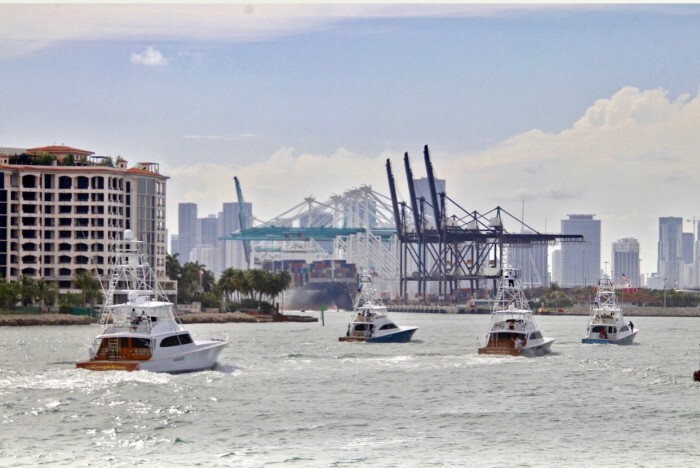 Within these two-days a total of 427 sailfish were released from Palm Beach down to Miami, with a majority of the boats fishing from Palm Beach to Jupiter. 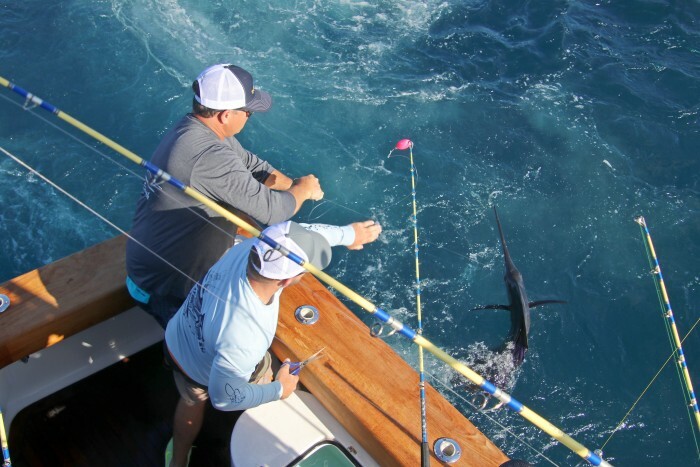 The record setting bite got off to a hot start at lines in on day 1 and stayed steady until the end of the tournament with multiple boats hooked up each day all the way through lines out. 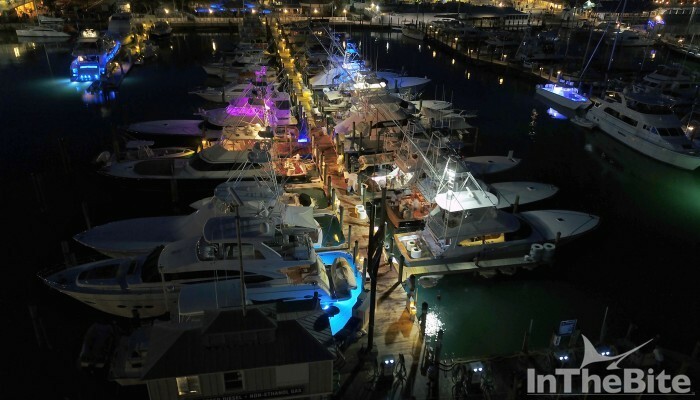 West Palm Beach, Fla. (Dec. 27, 2018) – Recognized as both the largest and richest sailfishing series in the world, the first leg of the Quest for the Crest Sailfish Series, Operation Sailfish, will be held at the Sailfish Marina in Palm Beach from January 16-20, 2019. 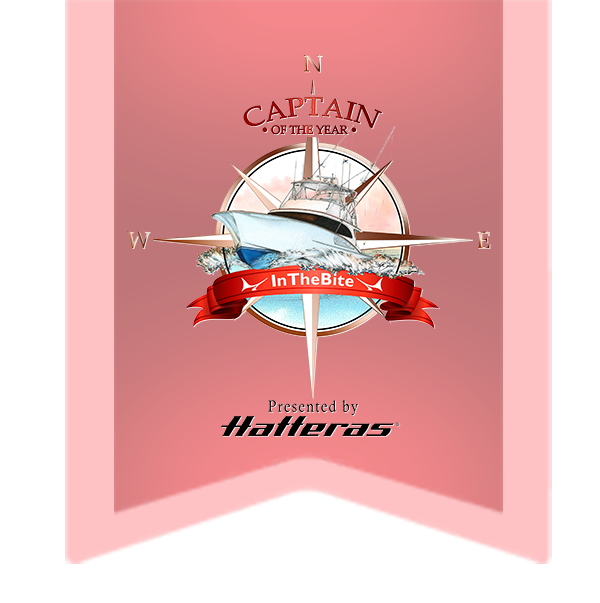 Participating teams will battle it out on the high seas, sailfishing both Friday and Saturday for the chance to take home a custom set of champion dog tags and a stout payday with a cash purse worth over $800,000. 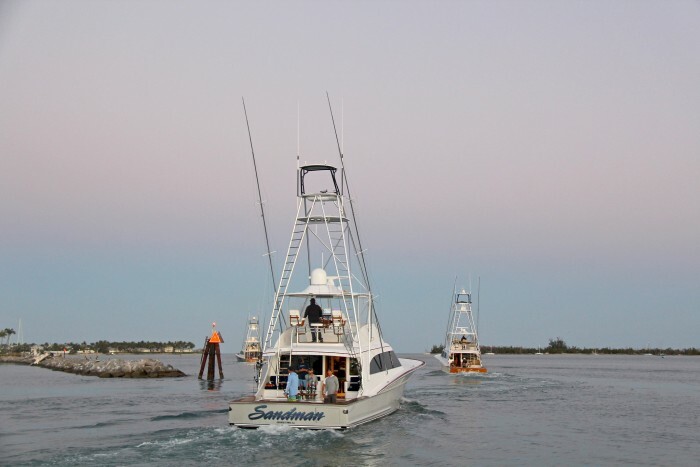 Other opportunities to reel in a win include the “Release Round-Up” jackpot. 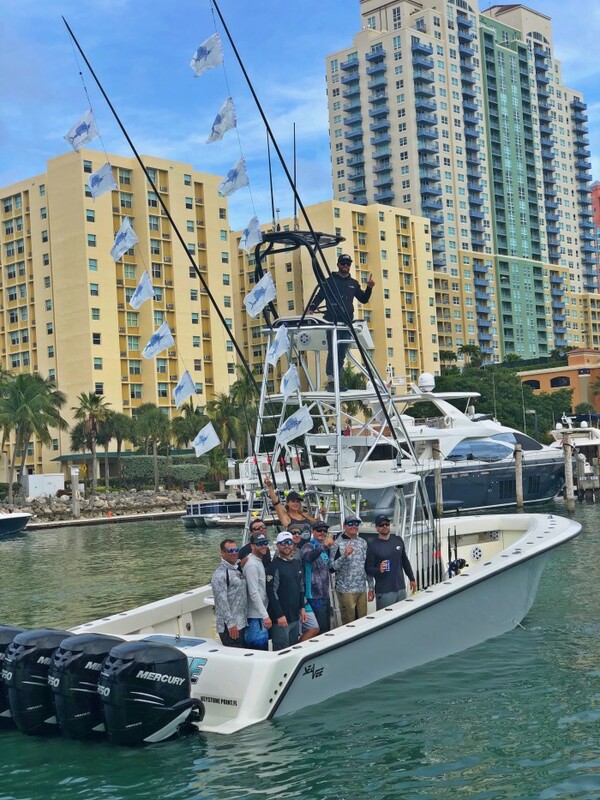 This winner-take-all category is approaching a $300,000 payout at Operation Sailfish with a buy-in of only $1,000. Win the tournament and the Release Roundup and your team could be cashing a check for over $500,000. 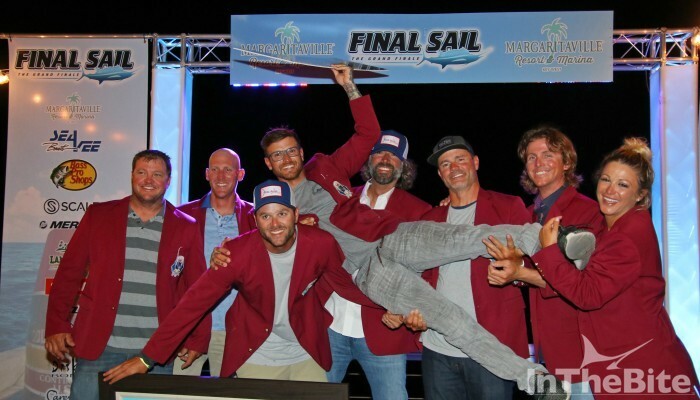 The 2018 champion team and current titleholder, Weez in the Keys went home with a cash payout of $210,000 last year. Who will earn the prestigious title this year? 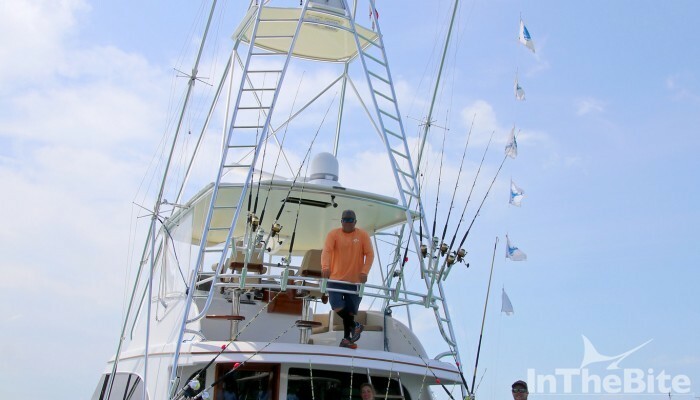 This two-day long tournament will give anglers a run for their boats, rods, and money. 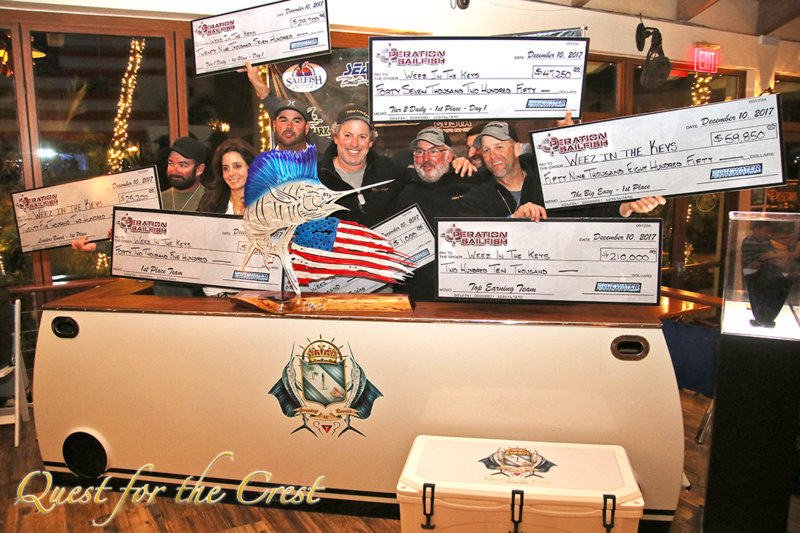 With a variety of prize categories available to enter, anglers will have many opportunities to collect some hefty checks and patriotic trophies. There are two tiers of optional entry through the daily categories that provide teams with an opportunity to win over $80,000 on a first place daily. Early and late bite categories also offer teams the chance to win some bonus cash in both the first and second half of the day. 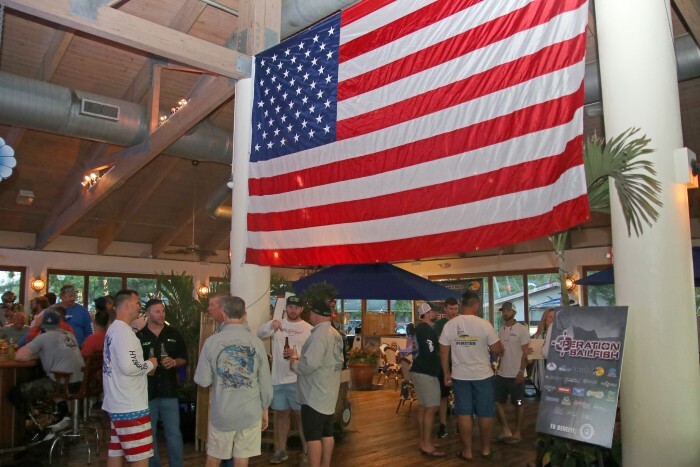 Along with the competition, one of the most notable highlights of Operation Sailfish is the unique opportunity it provides anglers to give back to the men and women of the United States military. 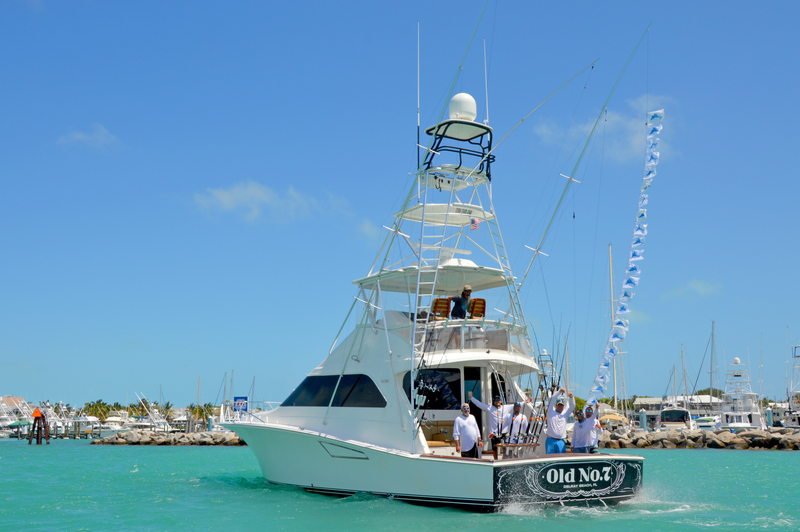 In partnership with its charity, Operation Homefront, each year this tournament holds a “Take a Hero Fishing Day,” which is designed to honor and support military veterans, active-duty soldiers, and wounded warriors by getting them out on the water for a fun day fishing. 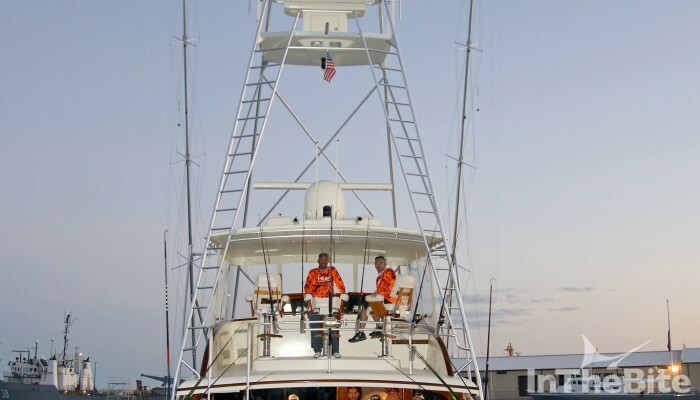 Held on Thursday, January 17, 2019, each participating team will be paired with a hero to enjoy a day of fishing, followed by a cocktail reception and awards ceremony, where top hero’s will be presented with trophies of their own! The kick-off party is held on Wednesday, January 16 at the historic Sailfish Marina Resort in Palm Beach, with a color guard and national anthem ceremony. Competition days are both Friday, January 18 and Saturday, January 19, followed by a brunch and awards presentation Sunday, January 20 at Sailfish Marina Resort. 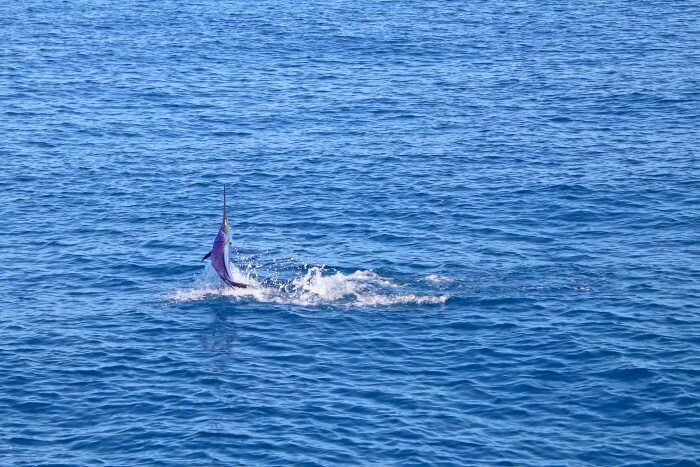 Tournament registration is available online at www.operationsailfish.com. Registration remains open until the conclusion of the kickoff party on January 16th. $300,000 Jackpot. 1 winner. $1,000 entry. 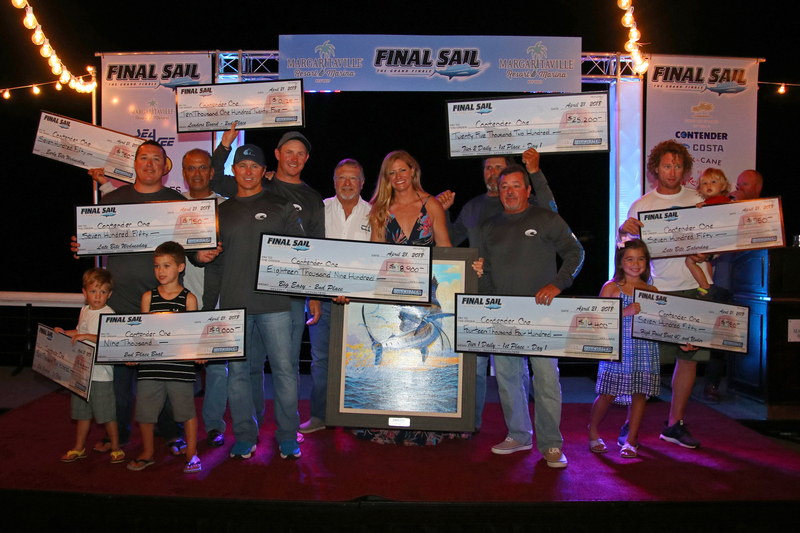 After four legs of hard fought competition, the 2018 Quest for the Crest Sailfish Series wrapped up on April 21st with Final Sail, the grand finale of the series, hosted by Margaritaville Key West Resort & Marina. The festivities began with a kickoff party along the Margaritaville pier featuring live music, open bar and an amazing spread of food. 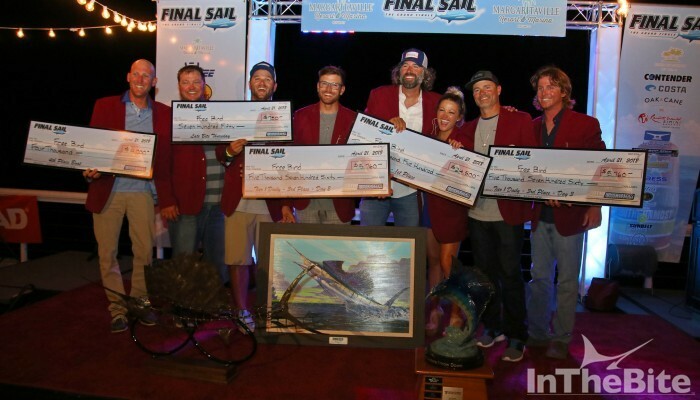 Heading into the Final Sail, team Free Bird had the lead in the chase for the burgundy jacket with 85 points, followed by Sandman in second with 82 points and Weez in the Keys in third with 76 points. With just one release on Day 1, Free Bird fell behind Sandman and Weez in the Key was able to close the gap. With no substantial change in conditions on Day 2, teams knew that they would have to make every bite count. Team Sir’ Reel came out swinging with a few releases early to claim the early bite and win the daily for $40,350. Sandman backed their Day 1 performance with another second place daily on Day 2. With less than two hours to go on Day 2 and no releases on the board, the burgundy jacket appeared to be slowly slipping away from Free Bird. Battling a zero-wind condition, Captain Nick Carullo made the call to put away the kites and start chasing floppers. It was a call that paid off. They caught a triple off a flopper before lines out to boost the team into the third place spot for the day. 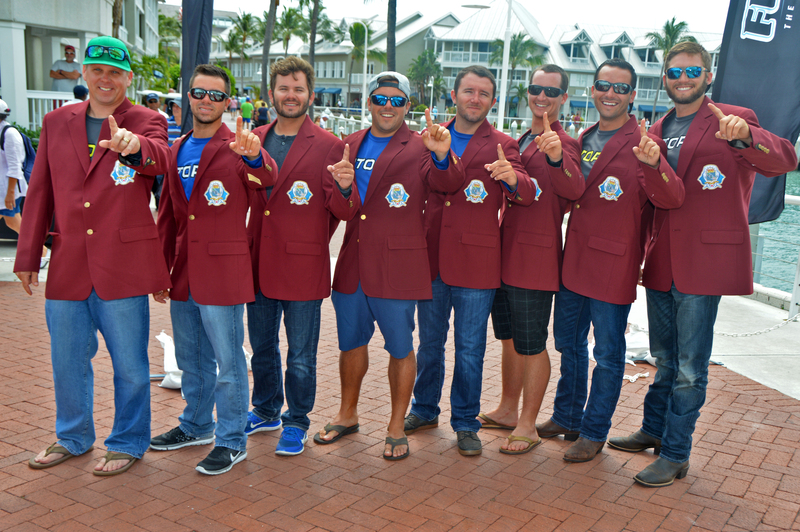 More importantly it brought them back within a 1-point margin of team Sandman for the burgundy jacket and the #1 title. In true championship format, it would all come down to the final day. In the midst of the battle between Free Bird and Sandman, team BAR South had quietly moved themselves into striking distance for a Final Sail victory, sitting in third place heading into the final day. 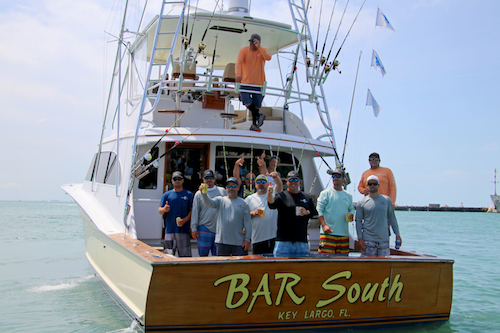 Day 3 belonged to Captain Art Sapp and the BAR South crew. They got off to a hot start with five releases in the first half of the day and went on to release one more in the afternoon for a total of 11 releases that would be enough to secure the victory and a $136,835 payday! 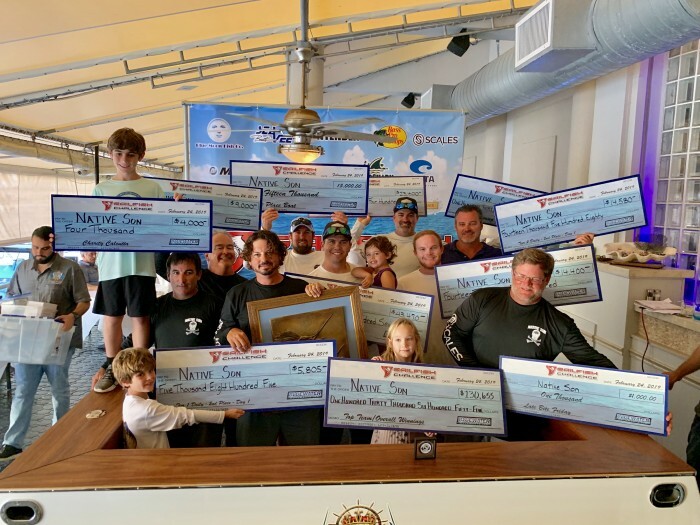 Contender One battled back from a slow Day 2, releasing four fish on Day 3 to claim second place overall in Final Sail and a check totaling $85,125! Sandman released their first couple of fish on Day 3 and appeared to be on their way to becoming the first 2-time winner of the burgundy jacket. True champions rise to the occasion and that is exactly what team Free Bird did. 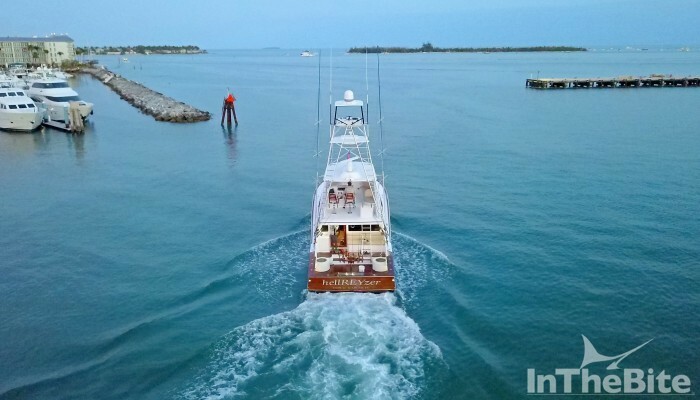 They answered the call releasing five fish on Day 3 to finish the tournament in fourth place overall with nine releases and season earnings of $224,400. 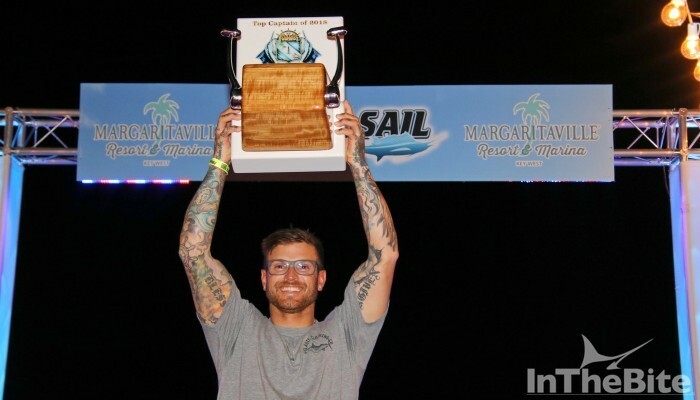 More importantly they sealed their fate as the new #1 sailfishing team in the world with a two-point margin of victory over team Sandman. Free Bird set a new series record scoring 112 points out of a possible 124 in the series. 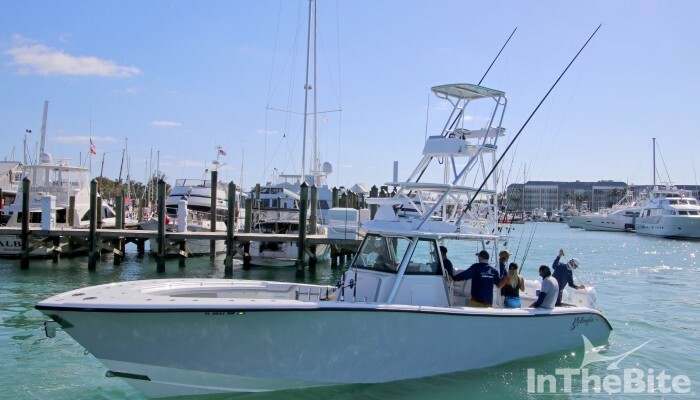 They posted a first place finish and three fourth place finishes, never falling out of the Top 5 in the most competitive billfish tournaments the sport has to offer. Sandman finished the season in second place with total earnings of $312,940 followed by Weez in the Keys in third place with total earnings of $299,150. 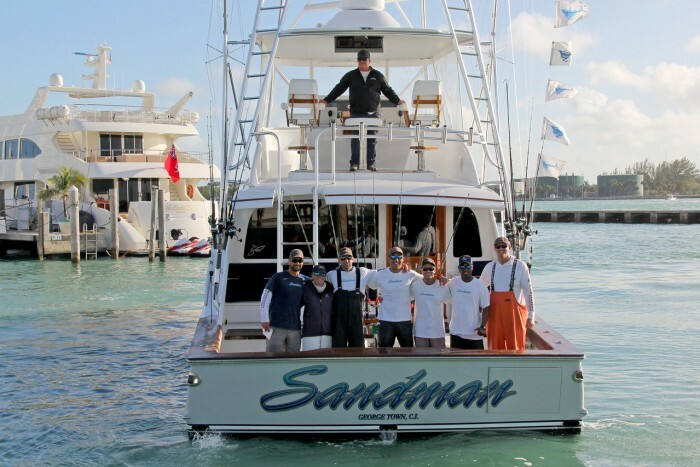 Sandman team captures prestigious Quest for Crest title 2017. 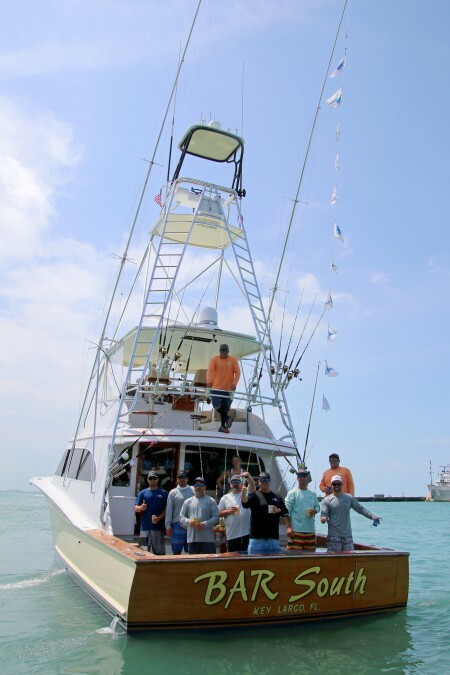 Sailfishing teams arrived at Margaritaville Key West Resort & Marina on April 25th in search of a great bite and a great time during Final Sail, the grand finale of the 4-leg Quest for the Crest Sailfish Series. The tournament did not disappoint. With an $868,000 purse up for grabs and a world champion title on the line, the stakes were high. 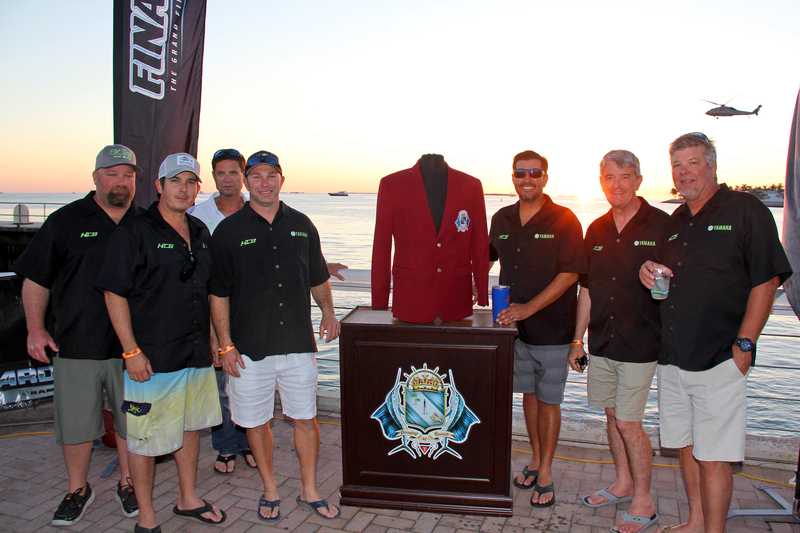 Heading into Final Sail, team Sandman held the lead in the chase for the burgundy jacket with 79 points, generated from a 3rd, 7th and 4th place finish in the first three legs of the series. Team Sailsmen/Advanced Roofing was hot on their heels in 2nd with 71 points followed by Contender One and Miss Britt/Contender each with 69 points. 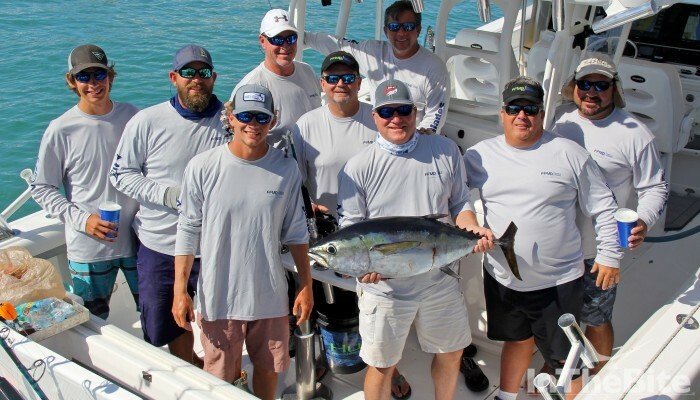 On the dawn of Day 1, Captain John Dudas let the fleet know that team Sandman came to play when they jumped out to a hot start winning the early bite with five releases. As the day progressed, Captain Jamie Ralph and his Old No. 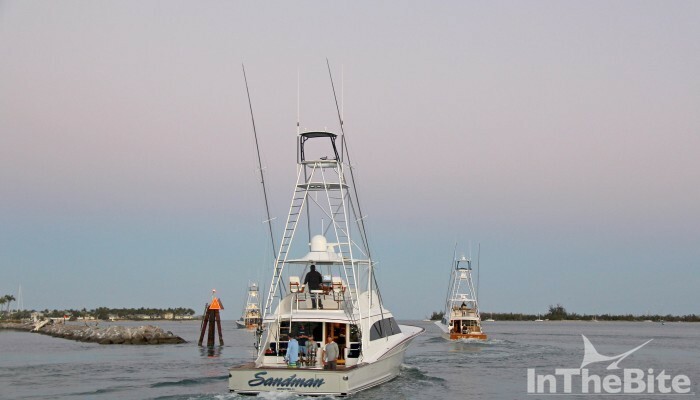 7 team found the fish and capitalized on nine releases to take the late bite and the Day 1 daily for a $67,200 payout. Sandman finished the day with eight releases in 2nd place and a $33,120 payday. A total of 121 fish were released on Day 1. Heading into Day 2, the wind picked up out of the southeast and the bite picked up with it. Silent Hunter found the fish early releasing eight sails before noon. The afternoon belonged to 2015 Quest champions, BAR South. 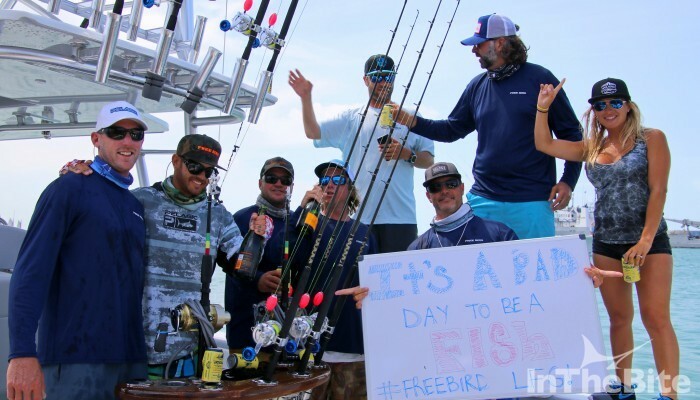 They released eight fish between 12 p.m. and 4 p.m. and a total of 12 releases for the day to win the $67,200 daily. 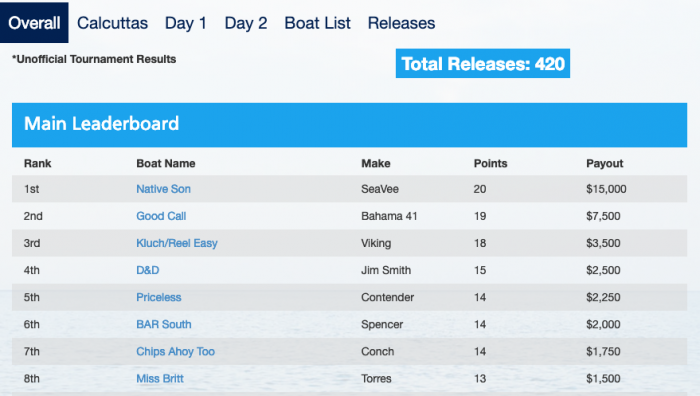 Three other boats, HellReyzer, Silent Hunter and Family Matters, also posted double digits with 10 releases each. Team Seraphim grabbed the lead on the big fish scoreboard when they weighed a hefty 47.8-pound dolphin at the tournament scale on Day 2. 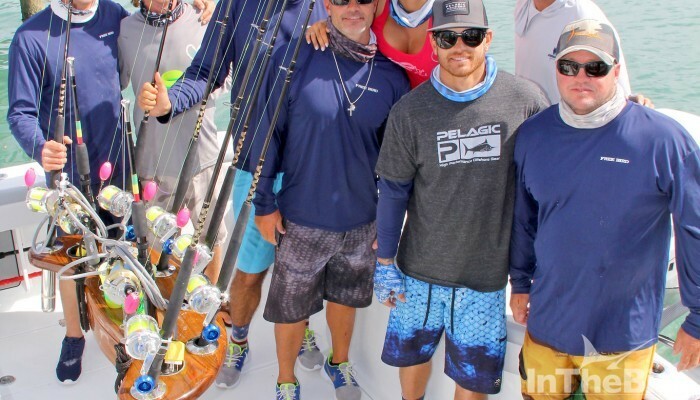 The big mahi turned out to be the heaviest dolphin of the tourney earning the team a bonus $1,500 payout. A total of 159 fish were released on Day 2. After two hard days of fishing, a much needed lay day provided a fun opportunity for teams to let loose and enjoy the Key West night life during a pub crawl along the world famous Duval Street. With the lay day shenanigans behind them, only one day remained for teams to capitalize on the opportunity to close out the season on a high note. 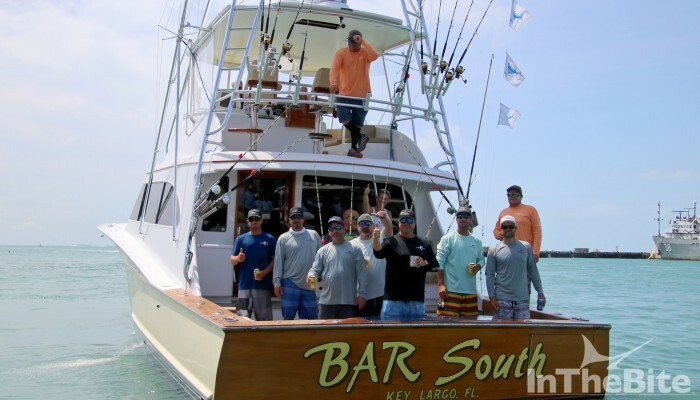 At the start of Day 3, BAR South held the lead with 18 releases followed by Old No. 7 and Lights Out in 2nd and 3rd with 16 releases each. Old No. 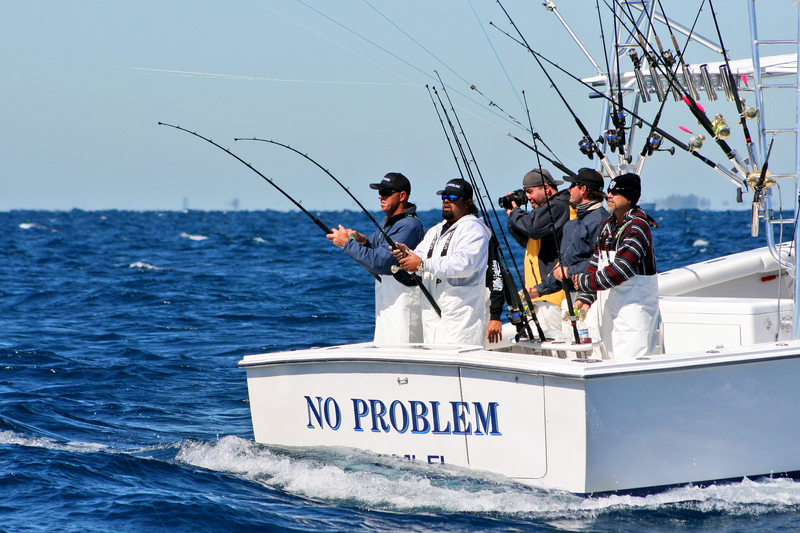 7 caught three sails by 9:15 a.m. to take the lead over BAR South. Shortly after, BAR South answered with a double to jump back into the lead with 20 releases. The lead didn’t last long. Minutes later, Captain Jamie Ralph called in two more releases to push Old No. 7 back to the top of the leader board with a total of 22 releases. 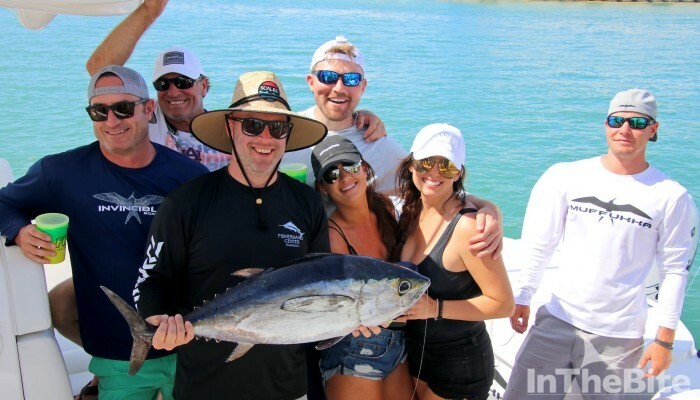 In the midst of the battle for first and second, Sandman jumped in the mix releasing six fish by 12:34 p.m. to move into 3rd place with 21 releases and striking distance with 90 minutes of fishing left in the tournament. Contender One, contenders for the burgundy jacket, got hot on Day 3 and released eight fish to grab the 1st place daily and bump themselves into 7th place overall for the tournament and runners up for the jacket with 93 points. They also finished strong in the earnings column with a $97,720 payout at Final Sail and over $191,000 in earnings for the season. 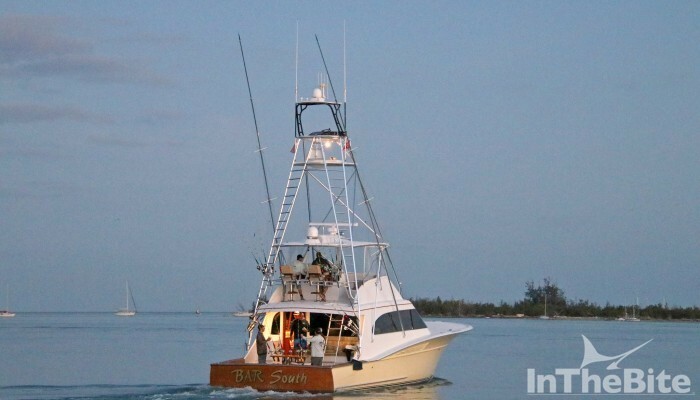 Team De-Bait-Able took 2nd on Day 3, just behind Contender One on time with eight releases and a check for $49,400. Despite BAR South’s best effort, Old No. 7 would simply not be denied of their first ever victory on the Quest for the Crest trail. They finished the tournament with 23 releases and total winnings of $219,675! BAR South finished in 2nd place overall with 22 releases and took home a check for $137,725. That payout also pushed the team’s net earnings to more than $1,000,000 in the Quest series. A total of 124 fish were released on Day 3. 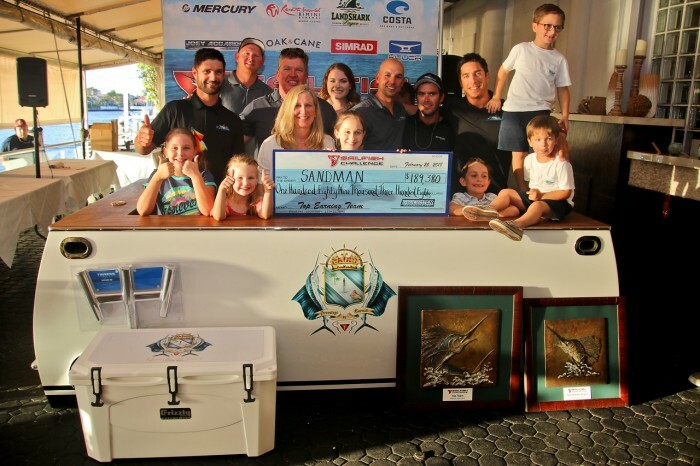 Sandman finished the tournament in 3rd place overall with 21 releases and $79,470 in prize money. 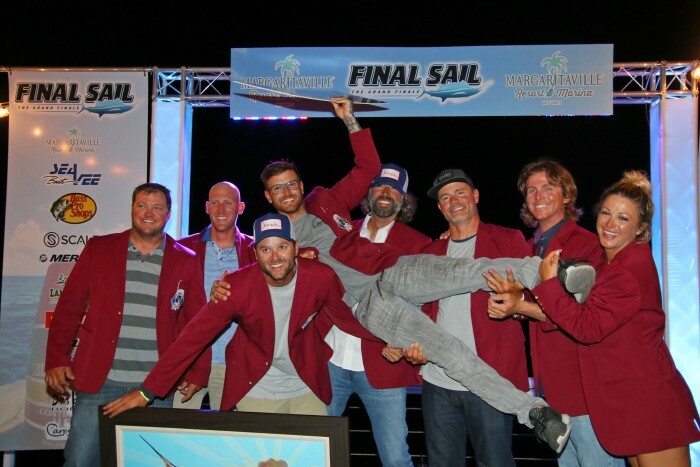 More importantly, it secured their position as the #1 sailfishing team in the world and recipients of the Quest for the Crest burgundy jackets. 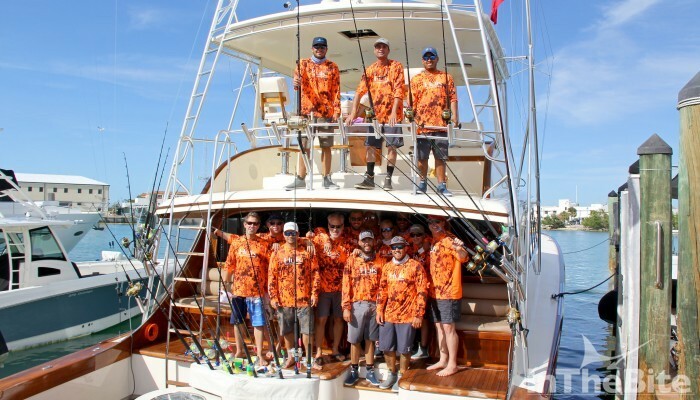 They join an elite fleet of teams that have been able to conquer one of the most difficult feats in competitive billfishing today and they did it in record style. Under the leadership of Captain John Dudas, Sandman never placed outside of the top 10 in all four legs of the series. They became the first team ever to break the 100-point threshold with a grand tally of 107 points for the season. To put things in perspective, a perfect score (1st place in all 4 tournaments) would equate to a score of 121. In the angler category, Stephanie Choate from Miss Britt/Contender made history by becoming the first angler to sweep a category in all four legs of the series. She was the Top Female Angler in each tournament with a Master Angler title in Leg 3 as well. 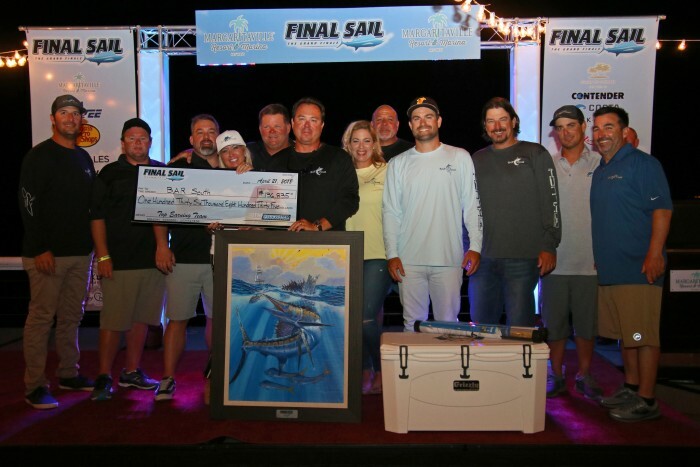 Carl Lindner of team Seraphim took the Top Male Angler with 13 releases and edged Stephanie out of the Master Angler title at Final Sail based on time. 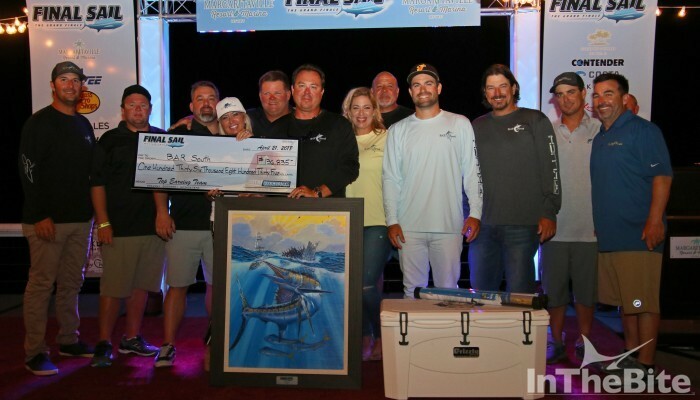 Seraphim’s big dolphin held on to the big fish lead on Day 3 until Reel Rodeo pulled up to the dock and dropped a 64.2-pound wahoo on the scale to steal the $13,650 pot in the Big Fish Bonanza.